« Tattoo Flash Collective is now selling Brian Kelly Tattoo Flash! Just in time for Christmas! 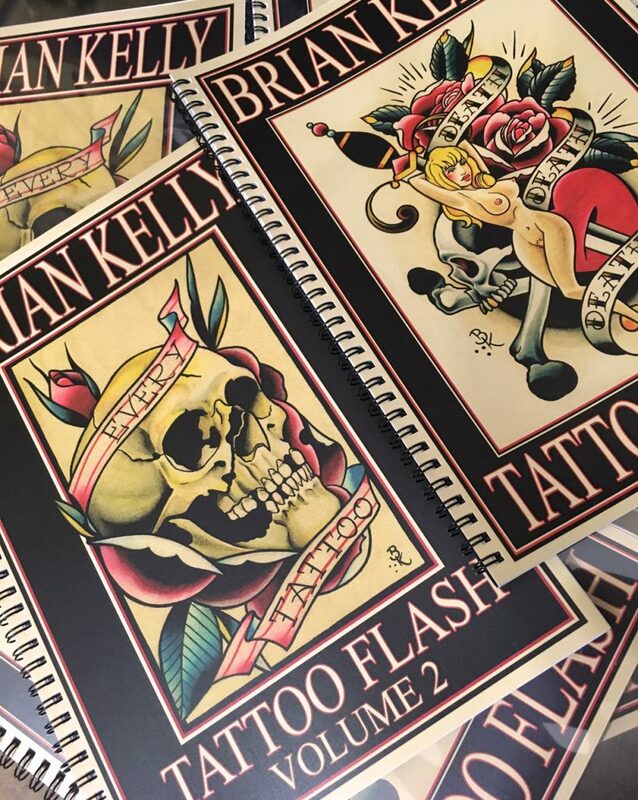 Order your Brian Kelly Tattoo Flash books directly from Brian Kelly! These two books are filled with 80 pages each of brilliant tattoo flash. Great for tattoo shops, or your own private collection of tattoo art. Only 50 Euros each! Pick them up from The Rose of No Man’s Land, or if you would like to make a bank transfer or use PayPal, send a message to briankelly@briankellyarmy.com or purchase from my Shop! This entry was posted in News and tagged berlin tattoo, brian kelly, classic tattoo, nautical tattoo, neotrad, neotraditional, neukölln, new traditional, old school, pin up, tattoo flash, tattoo flash book, traditional tattoo.